Time is running out to get your order in for 12 new Star Wars signers and 3 non-Star Wars signers! 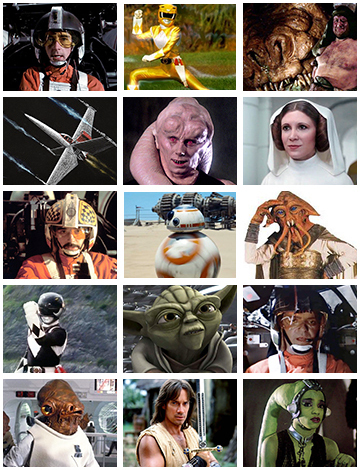 You can Pre-Order 8x10 actor-provided photos through Monday, March 5th to be signed by David Ankrum (voice of Wedge Antilles), Karan Ashley (Yellow Ranger), Paul Brooke (Malakili), Colin Cantwell (Star Wars Concept artist), Michael Carter (Bib Fortuna), Ingvild Deila (Princess Leia), Garrick Hagon (Biggs Darklighter), Brian Herring (BB-8, Porgs), Gerald Home (Tessek, Mon Calamari Officer), Walter Jones (Black Ranger), Tom Kane (Yoda, 100+ other Star Wars voices), Angus MacInnes (Gold Leader), Tim Rose (Admiral Ackbar, Salacious B. Crumb, Sy Snootles), Kevin Sorbo (Hercules) & Femi Taylor (Oola). Click here to order now!